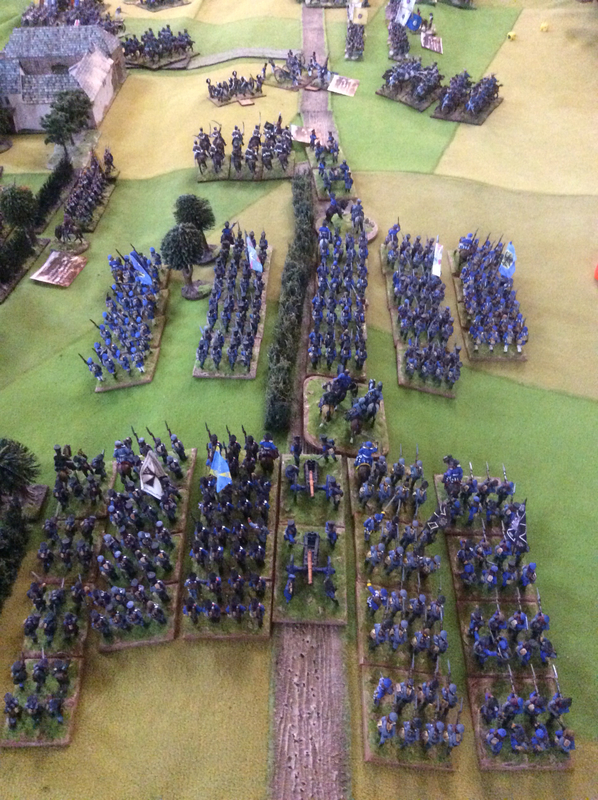 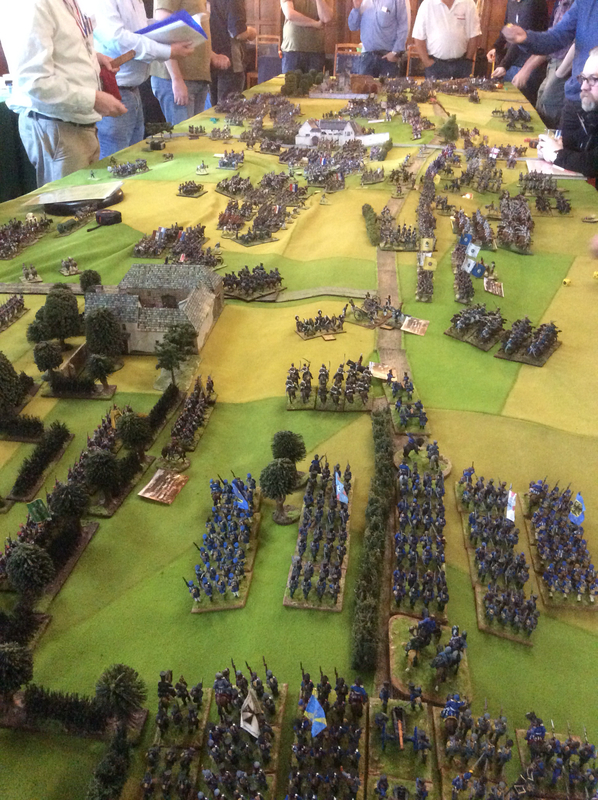 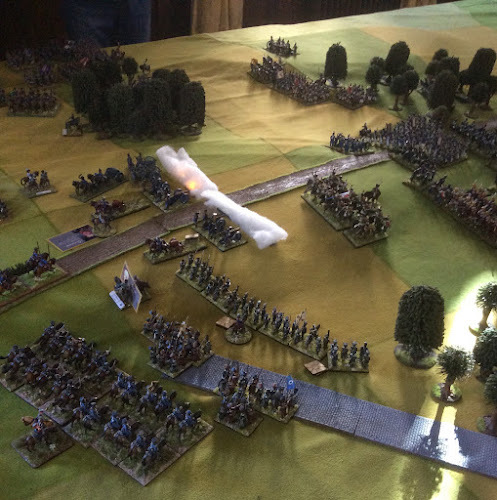 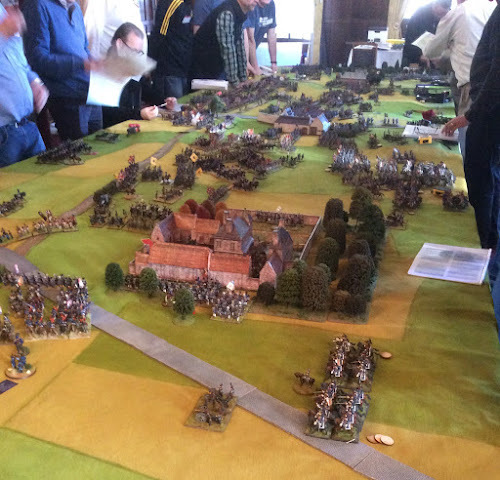 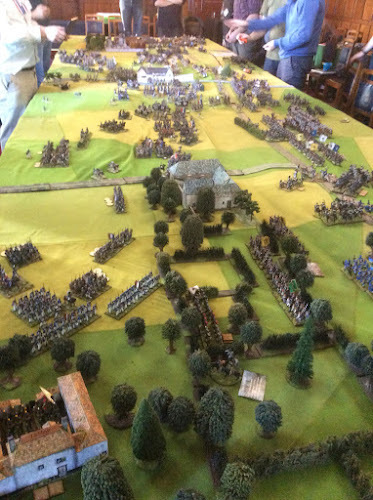 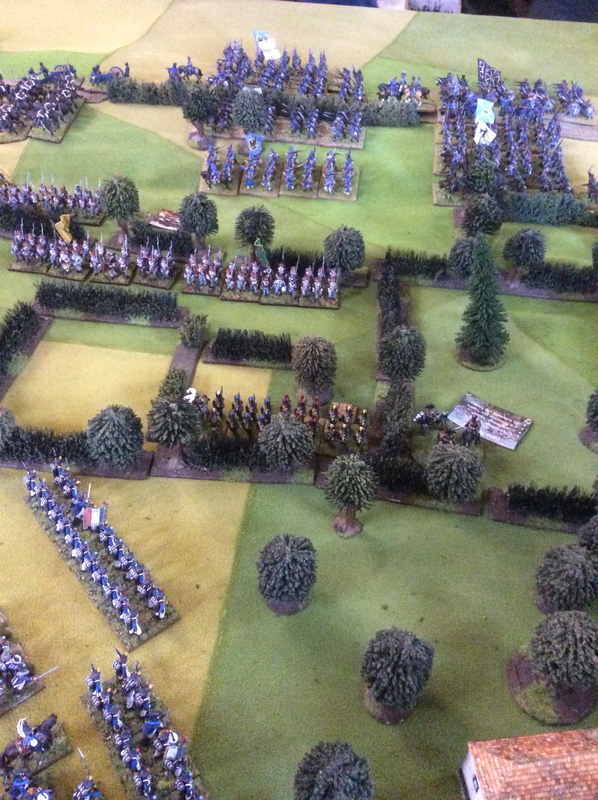 For the past year a large group of New Zealand wargamers have been planning a refight to commemorate the 200th anniversary of the Battle if Waterloo. 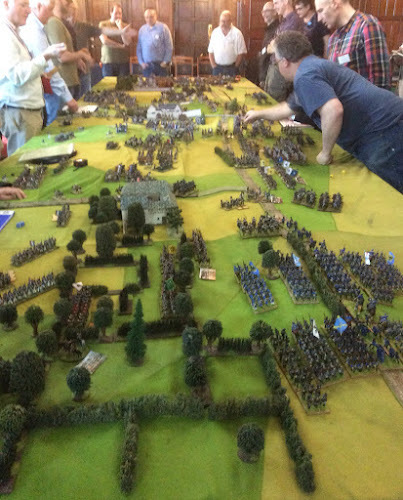 This weekend that refight was held, very aptly, at The Wellesley Club in Wellington. When I visited there were 40 gamers commanding their brigades around the table. 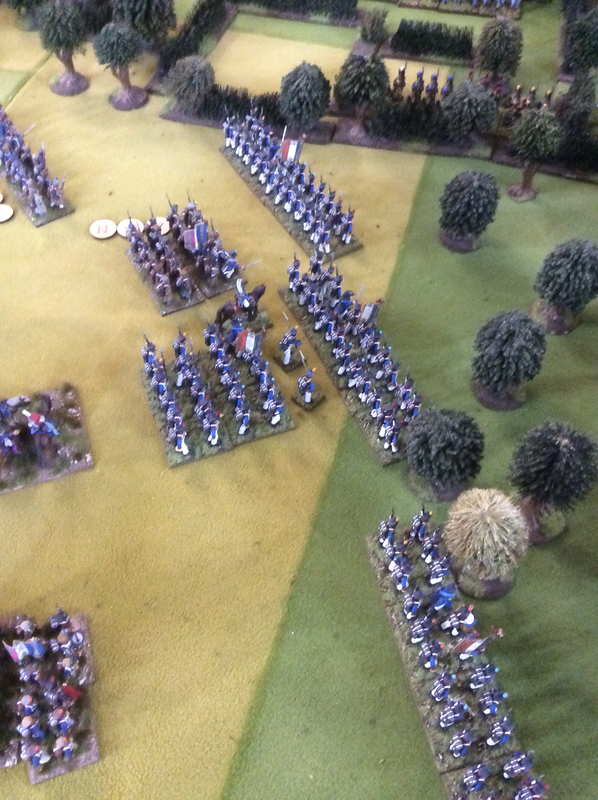 The battle hadn't reached its climax yet but it appeared that the wily French had eliminated all the British artillery, in preparation for the charge of the Old Guard. 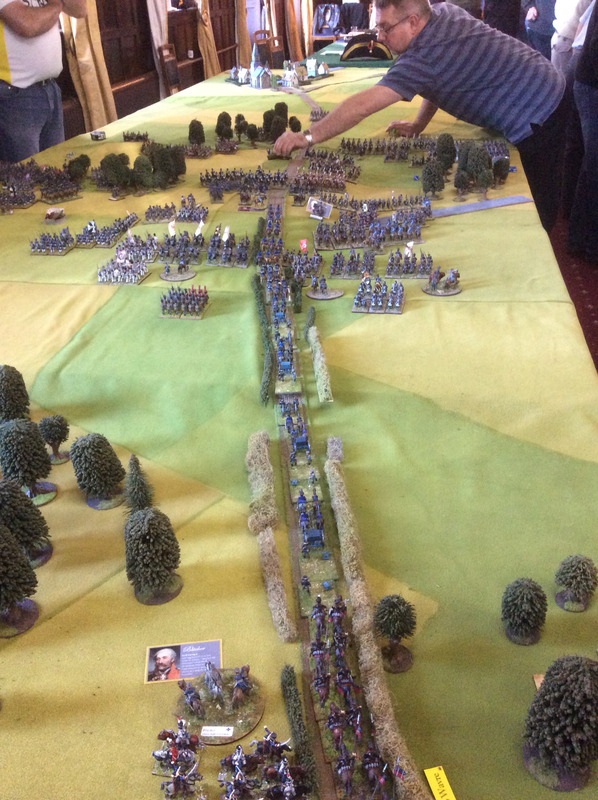 They were playing the event on two large tables - one for the main battle and the second for the arrival of Blucher's Prussian forces. While the Brits were taking a hammering in the middle there was hope that "ze Germans" would arrive to save the day. 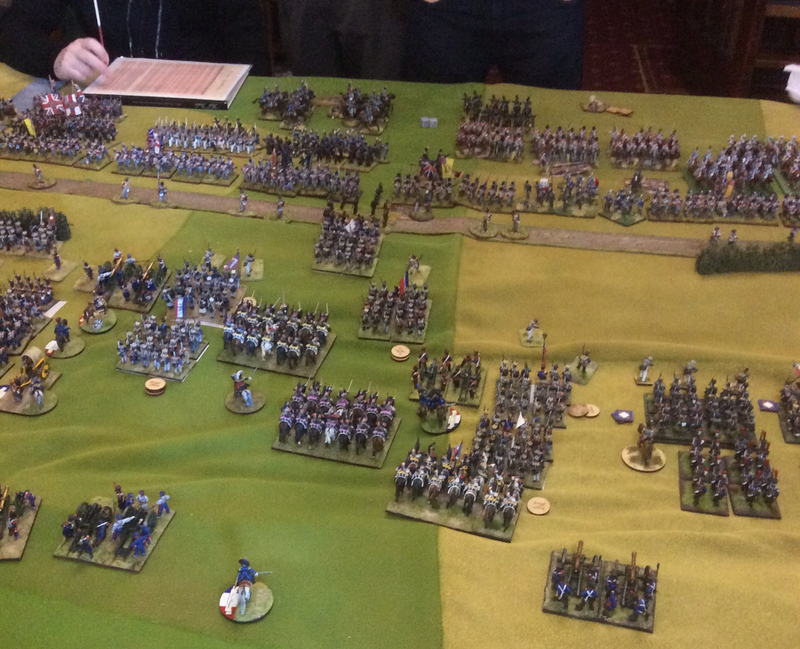 More photos over the break. 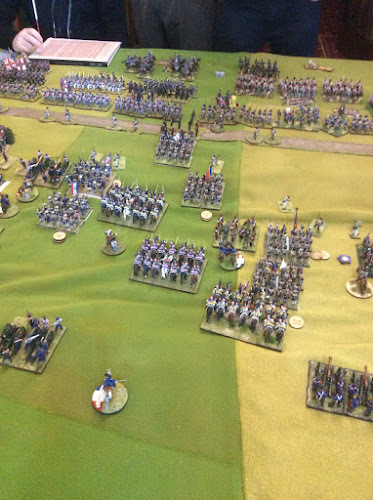 You can see Napoleon in the above photo....marshalling the troops. Napoleon is out of his unit, no Look Out Sir. 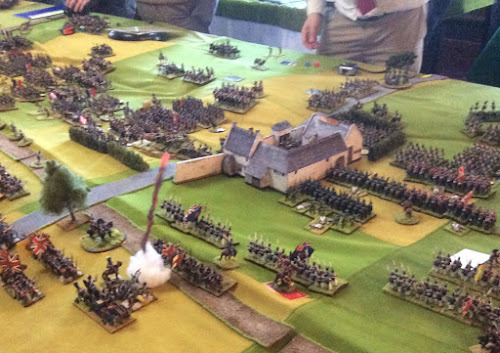 "10 inches from the back" and the Brits can go home for tea and medals. 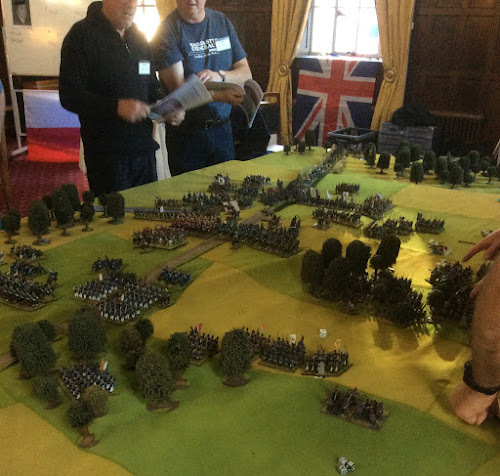 They need a Warhammer player there to show them some real tactics. 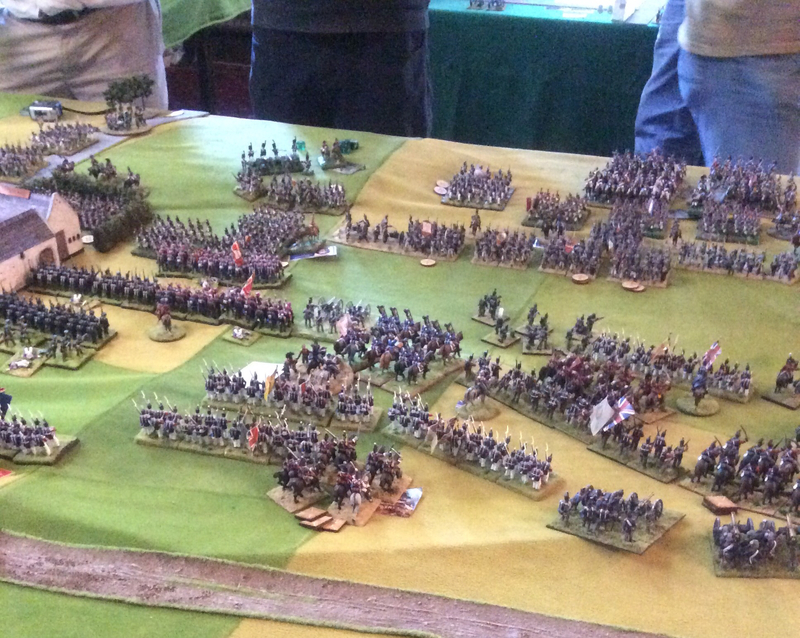 Oh, I meant to add, that looks very bloody impressive. 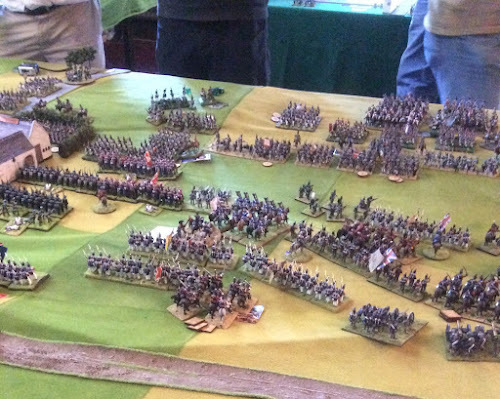 Well done indeed chaps.